We interviewed Emily Saliers—one half of the Indigo Girls—in anticipation of the iconic band’s upcoming performance on July 28 at Canal Shores in Evanston as part of the “Out of SPACE” series. 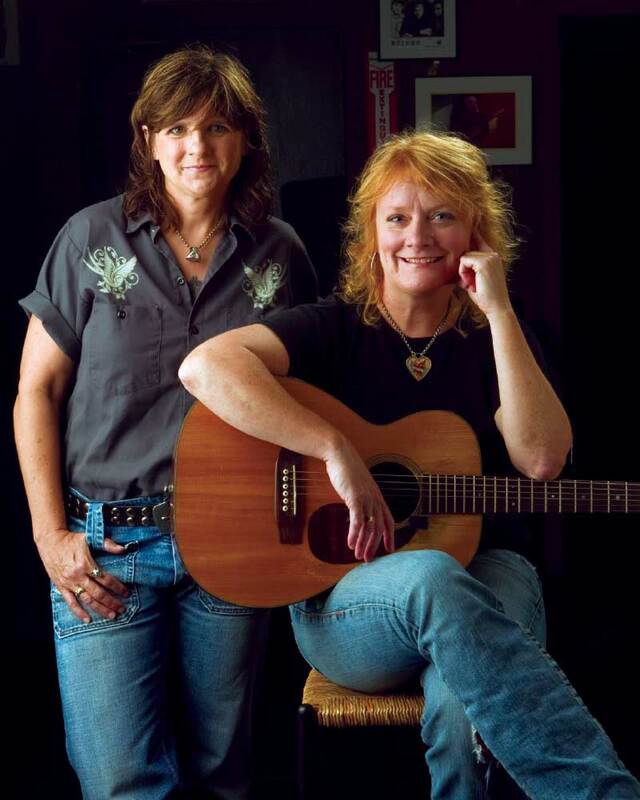 The Indigo Girls have been recording under their colorful moniker since the duo’s 1987 debut album Strange Fire. However, it was Indigo Girls’ 1989 eponymous sophomore effort, featuring members of R.E.M., which solidified their status with the massive hit single “Closer To Fine.” Since that time, they have released an additional dozen studio albums (including a holiday record), with the latest being 2015’s One Lost Day. 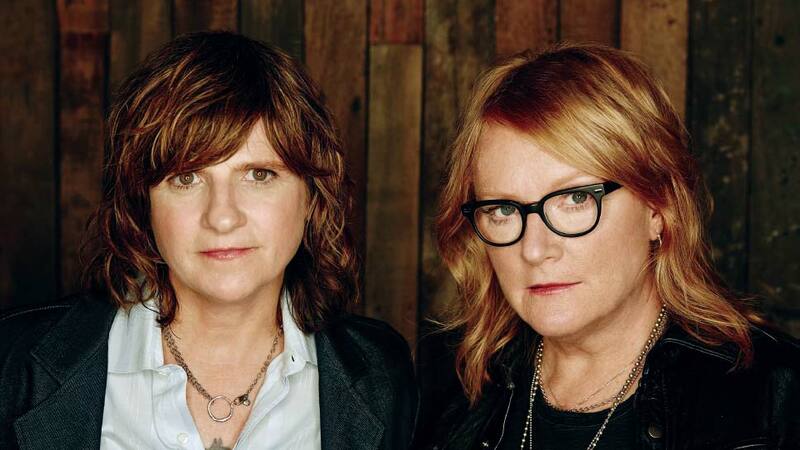 The duo’s new concert recording, Indigo Girls Live With The University of Colorado Symphony Orchestra, is due out in late June. Saliers reflects on her journey to a solo album, the importance of activism, and her future ambitions. Congratulations on the release of Murmuration Nation, your first solo album. Why was it the right time release a solo disc? It was kind of a culmination of things. I’d been talking about it as if were just an idea for a long, long time. Also, what Amy (Ray) and I did together, was very fulfilling to me in all musical ways. But then, little by little I started to have a strong desire to do something more rhythmic and groove-centered, which Amy and I don’t do a lot of together. Hip-hop, R&B, all the groove music that has so inspired me my whole life. Meanwhile, Lyris Hung (who plays violin with Indigo Girls) and I worked really well together on a song for a film. I started sending her ideas for fun. She started doing little production responses in her studio. What she did was exactly what I couldn’t create myself in production. Basically, when I wanted to do more of a groove-centered R&B record, Lyris agreed to produce it. From that point on, the record was on its way. It still took three years from the time I asked her [laughs] to the time we actually got in the studio with the pledge campaign in between and all that. Were all the songs on Murmuration Nation written specifically for the album or did some of them begin as Indigo Girls songs? There are a couple of songs on the album that are very old. I wrote the song “Match” with my friend Kristen Hall. We go way back. That song “Match” is kind of a shimmery pop song that we wrote more than 15 years ago, I’m sure. In the studio, it got transformed into what it is today. But I always knew that I wanted to record it. It was always just hanging around. Another song, “Slow Down Day Friend,” was the first song I ever wrote on ukulele. That was also hanging around; Amy and I never recorded it. Everything else I can think of was written specifically for the solo album over the course of three years. I’m so glad you mentioned Kristen Hall. There is an interesting Sugarland connection on Murmuration Nation. You talked about the song “Match,” co-written by Kristen, an original member of Sugarland. You also sing a duet on “Long Haul” with Jennifer Nettles, who was lead vocalist of Sugarland. Both Kristen and Jennifer came out of the Atlanta and Decatur music scene. We’re old friends. The community has remained very tight over the years. Sugarland went off and exploded. We used to see them at teeny tiny places. I knew they were going to explode and they did. We remained friends through the years. I love Jennifer’s voice. I made a wish list of people I want to sing on my album. When I asked Jennifer, she immediately agreed, which was very generous of her because she’s very busy. I didn’t know what it was going to be. I just wanted her voice on the album. I had decided on “Long Haul” and she came in and did it so well, knocked it out of the park, that it became a duet. It was undeniable. Yeah, man, this is a duet [laughs], because of Jennifer’s voice. Her presence in the studio is so positive. It’s a nice thing to have old friends that record or sing with you. They’re stamped forever on your project. I don’t know how to describe that feeling, but it’s one of the most gratifying feelings of the whole music experience that Amy and I have had. I’m glad you brought that up. In addition to Jennifer, there are some other marvelous guest musicians on the album, including Jonatha Brooke, Lucy Wainwright Roche, and Sierra Hull. It reminded me of how you and Amy organized the legendary Suffragette Sessions tour (featuring female singer/songwriters) 20 years ago. Please say something about the role of community when it comes to making music. First of all, we call ourselves a hootenanny band. When we were playing in the local bars, everybody was invited up on stage. It was a motley crew. I have to give thanks and credit to our original followers—women and lesbian followers— who helped us have a career. Then it was just a matter of loving to play with these people, these women. We’ve all remained friends over the years. In the end, collaborating and sharing is the best part of the musical experience. Which is why we never get tired of singing a song like “Closer To Fine,” and having the opening act sing a verse or the audience sings a verse. There’s different participation all the time. Music is meant to be shared. We love joining up with other people. Even Amy, on her solo records, will tell you that she’s a collaborator and she loves her band. I loved working with Lyris and I learned so much from her. I can’t wait to go out with a band. We just like being around other people playing music. Throughout your career, you have also found a way to include social and political commentary in your work. Songs such as “OK Corral,” “Fly,” “Spider,” and “I’m High I’m On High” on Murmuration Nation continue in that tradition. Please say something about the importance of including that in your music. It’s not really like I’m going to sit down and write something about a social issue. It’s more like the only reason we ever wrote songs was to try and get out what we’re feeling and thinking about. I use music and lyrics to understand the world around me. For instance, there’s a lot of social issues and politically charged material on the solo album because of what’s going on in our country. I can’t help it. With the situation with guns and religious zealotry and all those things. The last song written for the album was “Fly” and that was written right after the election. It’s a result of why I write songs. Some end up being about relationships and some are about social issues as I explore my world. With that in mind, as a musician and an activist, in what way, other than through the songs on this album, do you make your voice heard in terms of the 2018 and 2020 elections? I’m going to have a group called HeadCount go out on the road with me. They’ve been out a lot with Amy and me. They engage people in the voting system. They register people if they’re not registered. They’re a great outreach group to get people involved in voting. If it’s difficult for people, they make it easier for them. It’s a bipartisan effort to get people to the polls. Another way Amy and I have done it historically, not just with regard to the election, but regarding issues, is that we have groups such as Amnesty International come out and (staff a) table at the shows. We have local queer groups doing work in the community, wherever the show is, come out and (have a) table. We make announcements from the stage about things that are going on in your community. As we know, community outreach and work is critical. It can’t just be about big federal issues, but what’s going on in our community as we build the groundswell of response to hatred, exclusion, and racism … things like that. That’s another way that I will engage in my own activism. In celebration of its 10-year anniversary, SPACE, the popular and beloved Evanston live music venue, is presenting a summer roster of outdoor concerts, running June 21 to August 26, in a variety of cherished Evanston locations. Shovels & Rope and Becca Mancari kick off “Out of SPACE” at Temperance Beer Company, 2000 Dempster, on June 21, followed by Rebirth Brass Band with New Orleans Suspects on June 23 at the same venue. In July, The Lone Bellow, with guest Skyway Man, plays on July 20 at Temperance Beer Company and Slick Rick with The Cool Kids can also be heard at Temperance Beer Company on July 21. Chicago’s very own music legend Mavis Staples performs, with Marc Broussard, on July 27 at Canal Shores, 1030 Central. Staples is followed by Indigo Girls with Lydia Loveless on July 28, also at Canal Shores. In August, Out of Space presents artists, to be determined, at Big Evanston Block Party, at the intersection of Dempster and Chicago Avenue. Unfortunately, in the “if you snooze you lose category,” you’ll find already sold-out shows including The New Pornographers with Split Single (led by Evanston resident Jason Narducy) on June 22 and Dinosaur Jr. with Purling Hiss on July 19. For more information and a complete schedule, as well as updates, visit evanstonspace.com.